Have you ever had that moment when you realize that something is perfect? Not just really good or exceptional, but perfect. The best that has ever been. No need or room for improvement. Just flawless bliss. I found that feeling… in a cookie. And not just any cookie. A molasses cookie. I know that sounds weird, but I’m in Amish country right now. That’s like a thing here. I don’t know. They put molasses in everything. Sometimes I hate it. But in this case it was perfect. I have officially reached a new level of nerd. And this is coming from the girl who thought she was going to marry Alexander Rozhenko, has dressed as a TARDIS for the last three Halloweens, and craves the Walking Dead like a walker craves juicy, live-person flesh. But still I have reached a new level of nerd. I have officially started playing Dungeons and Dragons. And… I like it. I sort of feel like I might be entering an episode of Stranger Things by playing D&D, but if the upside down is where I’m headed, at least I’ll have a good proficiency with my long bow. I mean, I get +7 with whatever I roll on that one, so the Demogorgon should be no problem. What is the one skill you wish you knew in case the zombie apocalypse started tomorrow? I know, I know. Zombies aren’t real (yet), but humor me. What is the one thing you’ll wish you had Googled? Would it be how to shoot a crossbow, or better yet, how to build one of your own? Building a fire would be a really good thing to know, but I think, and I could be very naïve on this one, that most people can light a decent fire. So what about lighting a fire without matches or a lighter? There are some things that would be beyond reasonable effort. Like gas. Gasoline does actually go bad. If you’re on your own in the cold, cruel, zombie-ridden world, you’re probably not going to be able to do all the things you would need to make more gas; that would require a new world structure. So car repair skills aren’t actually going to be helpful for long. Bike repair: that might be a great thing to know before the zombies are nipping at your heels. Making medicine would also be amazingly useful. Like at-home penicillin, which is a real thing you can do; making your own, albeit primitive, antibiotics would be life saving. In fact, all sorts of first aid would be great things to learn before the zombies come knocking at your door. When the emergency rooms are no longer functional, you’ll have to know what to do when you get frostbite or need stitches. I’ve been spending a lot of time in Southwest Florida this year, and I’ve noticed something strange. Okay, noticed is really the wrong way to say it. More like my overactive imagination and zombie obsession have come together to form a theory. Have you seen the picture of Pluto? But really, have you? Look at it. No, really look at it. Pluto the Disney dog is clearly silhouetted on Pluto the quasi – sometimes – planet. Walt Disney was either a psychic genius or an alien. And right now, I’m voting for alien. 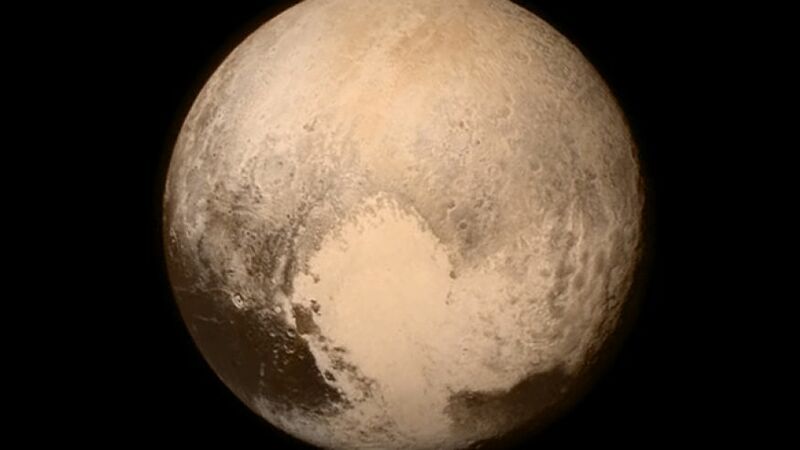 Walt Disney had seen the face of Pluto while on his way down to earth Kal-El style. He grew up, became famous, and planted us all a little shade of his brilliance in creating Mickey Mouse’s loving and trusty friend, not to mention the best Disney character ever, Pluto! 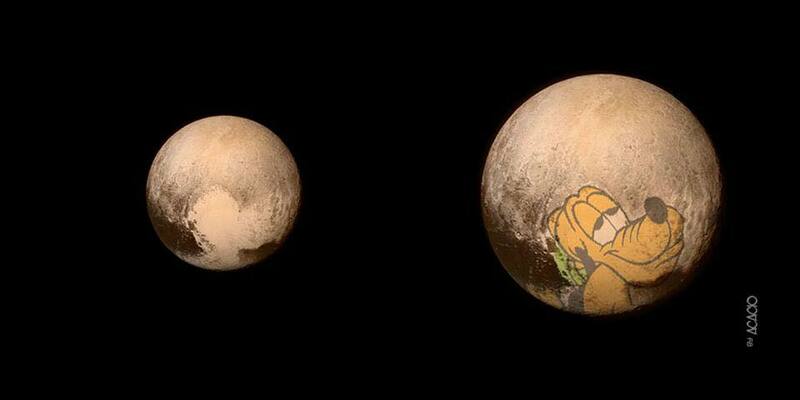 And now that we’ve seen Pluto, we all know that Walt was Walt from another World! No wonder he wanted to be cryogenically frozen when he died. He’s waiting for his people to come unfreeze him! I know it sounds crazy, but seriously y’all. Pluto is on Pluto. How else can you explain it?